VHF aerial replaced Fixed VHF replaced. New switch panel at navigation station, including switching circuit breakers, and partial rewire. Rigging professionally inspected April 2019, report available upon request. New storm jib + removable forestay. Stack pack sail bag for mizzen, 4 x halyard bags. New deep 3rd reef in main sail + 2 leech sheaves New boom by Z-Spar with single line reefing, turning blocks and 8 x Spinlock clutches. iPad 1 with robust case included. AIS receiver linked to chartplotter at binnacle. Steering compass newly refurbished, see pictures. New Rule 360 electric bilge pump. Danbuoy, horseshoe buoy, drogue and LED light. A well cared for Westerly Renown Ketch that benefits from recent standing rigging, coppercoat and replacement fuel tanks amongst numerous other upgrades since 2011. A full inventory is available upon request including recent work/additions. 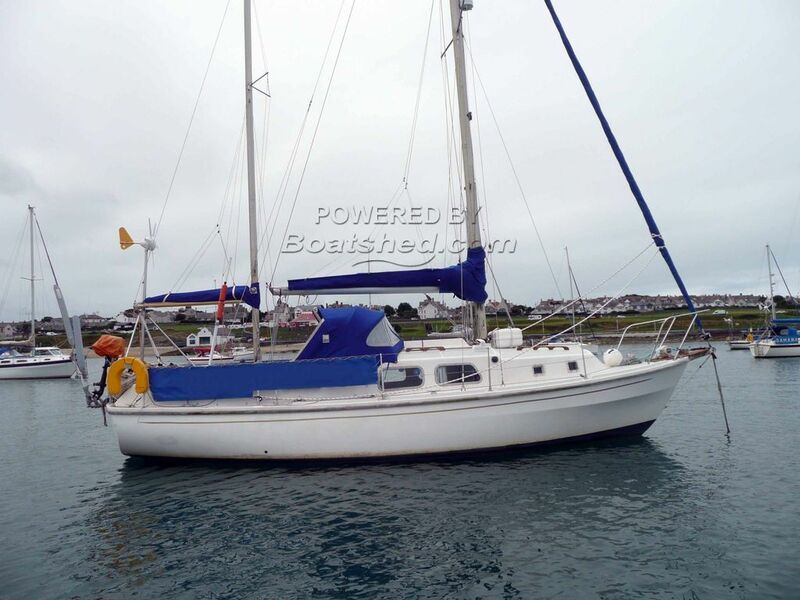 She is always wintered ashore and has cruised the Irish Sea and the Scottish Isles. She has a very good inventory and if a Westerly Renown is in your sights, this one should be given careful consideration. This Westerly Renown has been personally photographed and viewed by Chris Tindall of Boatshed North Wales. Click here for contact details.